Ah, now look at what you gone and done. You made the Pope cry. What's that? Yes, I know JPII, the Polish Pontiff, was two papacies ago. But as far as I'm concerned, Francis is a pope. 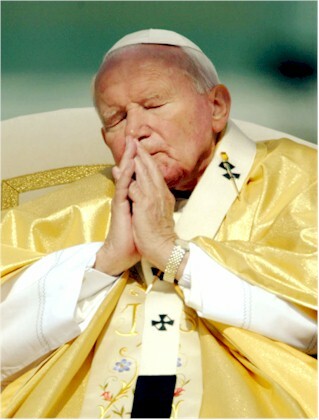 John Paul II is THE POPE. Sorry about the obscenity, Your Most Excellent Dead Popeness. But it is a cracking good swear beginning with K.
Nine out of ten peasants agree.